Hey, it’s time for RAW WINE New York! 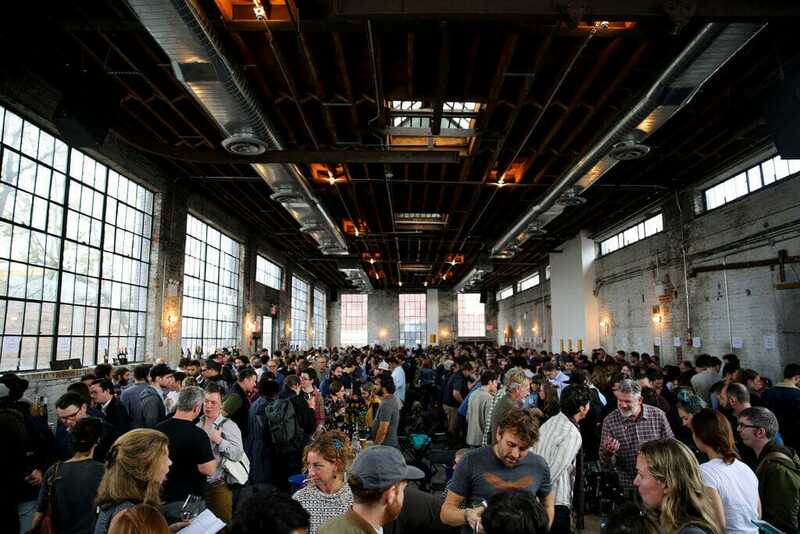 It’s the renowned natural wine fair created and organized by Isabelle Legeron MW, taking place again in Bushwick, Brooklyn. It’s like natty wine’s prom, Super Bowl, and college reunion all rolled into one. If you can make it to the event Sunday or Monday (11/4 and 11/5), that’s awesome! I’ll be there the former day via a comped press pass. As you can see in the photo below, it gets kinda crazy packed. 11:30-12:30 What’s a pet nat and why should I drink it? 4:00-5:00 Cider 101: more like beer or more like wine? But what if you’re spending Sunday watching football and drinking beer? Or doing hot yoga then eating donuts? Hiking? Going to IKEA and afterwards putting together a dang cabinet-type thing? And you have to go to work on Monday? OH NOS!!! Compangie is a classy, dark-ish, plush, couch-y/chair-y spot with a very nice bar. They are putting on a few wine boot camps that sound cool: Drinking RAW WINE in the USA on 11/1, Let’s Talk About Farming on the 6th, and Pet-Nats on the 12th. Each class has a 6 and 7:30 time slot but check with Compagnie to see what’s available. This is a great shop in my beloved neighborhood of Greenpoint. Head to Dandy for a tasting of Purity Wine with Noel Diaz, who makes wines from grapes in California’s Sierra Foothills, on 11/2 from 6 to 8. I’ve known William from Two Shepherds for years now and his wines keep getting better and better and they were pretty damn good to start with. Most recently I had his 2017 Carbonic Carignan “Wiley” (named after a cat and with felines on the label…hey, remember this cat wine?) and it was a chillable, chuggable red. YUM! Find him at Whet Whistle 11/2 from 6-8 and the next night (11/3) from 6-7:30 at Winey Neighbor. This narrow, cozy space in the East Village is a new favorite. I love tiny bars! There’s a BTG takeover on 11/7 from 6pm to midnight, featuring the wares of Winemonger. Get a stool at 5:59. I am a huge fan of Delinquente. The first time I had their stuff was at Somm Time, falling for a Nero d’Avola rosé from…South Australia!!! Then I tried a Pet-Nat made from…Bianco d’Alessano?!? WTF!?! It was a fizzy, refreshing delight. So Delinquente’s deal is Southern Italian grapes coming from South Australia. Dime a dozen wineries doing that, right? Find winemaker Con-Greg Grigorou at Corkscrew Wines 11/3 from 5-7, at a fried chicken dinner at Grindhaus 11/5 8pm, and another dinner at Uncle Chop Chop the next night (11/6) at 7pm. It will be loud, packed, and you probably will stay too late. This natty wine bar in the LES is celebrating 11/3, 11/4, and 11/5 from 8pm to “very late.” You will see lots of winemakers here for sure. I love Ops so much!!! TLA! It’s a charming pizza place with literally tiny menus, natty wines but no list, and the square pizza is amazing. They are having a day one (Sunday) afterparty with Zev Rovine Selections from 7-11. Noel from Purity will be there 11/6 starting at 7. Speaking of places I love, June is such a gorgeous spot and this wine bar serves some of the best food in the city. Like Ops, they have a great brunch, too. Check out Cabin Wine with Super Glou. It will be your first chance to taste wines from this portfolio, so go and get your bragging rights from 5-7 on 11/7. (Sidebar: Super Glou is an amazing name for a wine and spirits importer/distributor on so many levels.) ALSO: Saturday 11/3 a big-time party from 5pm-1am with all kinds of BTG takeover action. Stop by and Eat/Clink/Drink with Pascaline Lepeltier MS (who is managing partner and sommelier at Racines) and Alice Feiring (wine writer…and beyond…extraordinaire). Winemakers, wine flights, wine pairings, and a special prix fixe menu are all available. (But you can just chill at the bar, yo.) Starting at 6pm on 11/4. If you are at RAW WINE New York, stop by Henry’s. This retail shop is like a 15 minute walk, no excuses. You’ll get 10% off any purchase with your wristband on the 4th and 5th and they stock bottles from a lot of the producers pouring at RAW. Finally, what if you don’t live in Montreal, New York, LA and can’t go to RAW WINE? 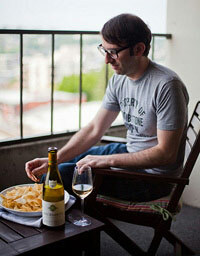 Explore the Wines and People & Places sections of the dang website. Learn yourself some natty wine, for real! Then go forth and demand satisfaction from your vino merchants and local restos. THE END.